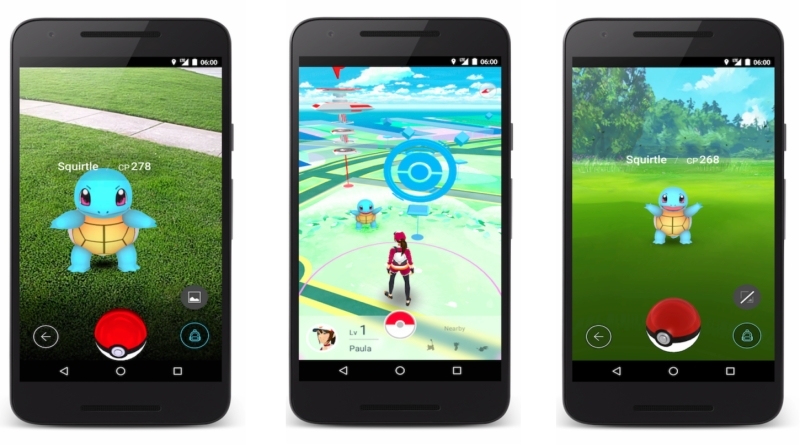 Pokemon Go is out now the game is already gaining some popularity with it unique and different experience of merging real world with Augmented reality. In Pokemon Go mostly all of the player or trainers catch Pokemon only for one reason which is Battle. But before you engage yourself in battles you must unlock this ability in the Pokemon Go. In Pokemon Go How To Battle guide you will learn how to unlock the ability to battle and how you can engage yourself in different battles in Pokemon Go. Unlocking the ability to Battle is pretty straight forward. You just need to reach level 5 to unlock this ability and start battling. To reach first couple of levels is easy as every Pokemon that you catch will award you some bonus experience for being new. So to reach level 5 you may have to grind some Pokemon for a while. New Pokemon will award you extra 500 XP if you capture them. You can also get a small 10 XP bonus for Spin Tossing the Poke Ball. If you successfully spin the Poke Ball and capture the Pokemon you will be awarded with 10 XP. When you finally reach level 5, then you have to find a Gym to battle. If no other trainer has claimed the Gym you can easily claim it without battling. But If a player/trainer has claimed any Gym then you’ll have to battle against their Pokemon to take that gym from them. All you need to do is click your screen to use perform the main attack. When a bar fills up, hold your screen for special attack. You can use different items such as Potions to prevent your Pokemon from dying during a battle. If you have a gym, you can battle your Pokemon in that gym and put a powerful and strong Pokemon in that Gym. If no one has a gym, you can put a weak Pokemon there, so that you can get a battle experience against weaker Pokemon. But if you’re claiming a Gym, you should leave a powerful Pokemon there so that you can keep it. And if your Pokemon taste defeat, it’ll be returned to you indicating that you have lost the gym. Currently there are no Online Battles in Pokemon Go. But I’m sure somewhere in the future we’ll be able to battle online. At this moment, all we can hope for is the Gym match with strong and powerful Pokemon.